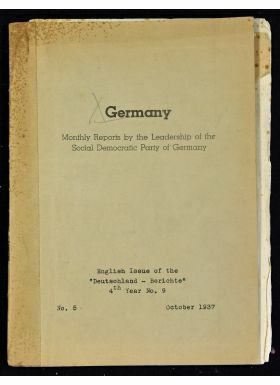 WWII – 1937 Secret Reports on Germany Booklet – ‘Monthly Reports by the Leadership of the Social Democratic Party in Germany’ date October 1937. 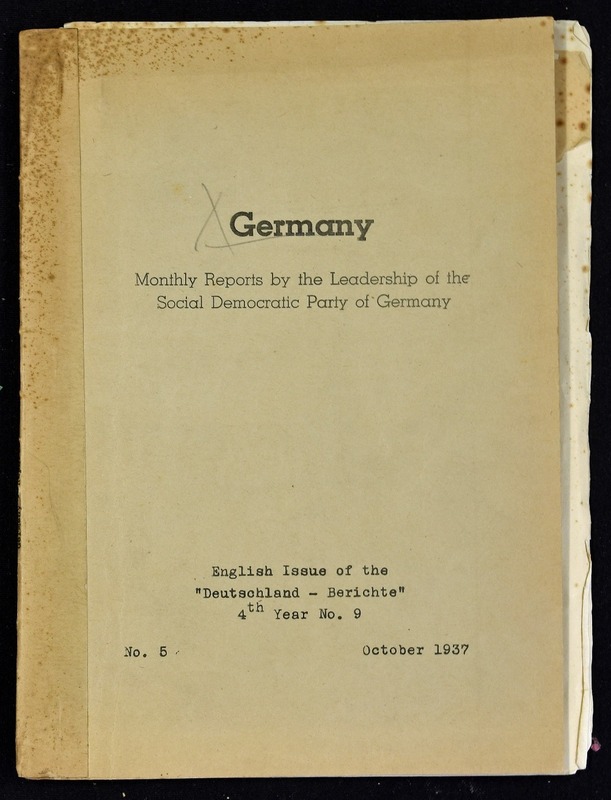 These were reports produced by the illegal Social Democratic Movement in Germany providing the outside world with information on what was actually going on in the country, as opposed to what the Nazi Propaganda Machine was trying to convey. Rare.